Employers need skilled workers who can meet the challenges of today’s work environment and are increasingly turning to military veterans to make it happen. According to the U.S. Bureau of Labor Statistics, the unemployment rate for veterans declined from 4.3 to 3.7 percent in 2017, and research shows that two in five employers planned to hire a U.S. veteran in 2018. Clearly, more companies are recognizing the unique traits that U.S. veterans can bring to the civilian workforce. What Do Civilian Employers Look for in Veteran Applicants? Employers are looking for the problem-solving ability, strong work ethic, leadership, and self-confidence that veterans bring to the workplace, says Casey Heaslet, a military admissions officer at Northeastern University. Furthermore, she says, veterans are highly adaptable. For servicemembers, their ability to adapt—to translate military prowess into a civilian career—means that their post-military career options are varied and plentiful. Veterans can use the expertise gained during active duty to transition into a civilian occupation that values their unique skill set. Heaslet notes, however, that veterans aren’t necessarily looking to match their military specialty code with an equivalent civilian career. While she’s witnessed veterans who worked in healthcare while on active duty pursue a health professions degree, she’s also seen other veterans with similar backgrounds pursue a degree in information technology. Civilian career options aren’t limited by prior military training. Veterans can build upon their technical skills gained in the military or start a new career based their passions to compete for the most in-demand jobs for former servicemembers. While the career options are vast, you may be wondering what the most common—and lucrative—positions are for veterans. Below we’ve put together the top eight jobs for servicemembers separating from the military, according to CareerCast.com’s 2017 Jobs Rated Report. CareerCast.com, a job database website, aims to match your skills, goals, and personality to your next job. In addition to the database, the website prides itself on providing an annual ranking of 220 jobs to determine the best occupations for different segments of the population. Rankings are influenced by factors such as the physical and emotional demands of the job, income potential, and known stress levels associated with the occupation. They evaluated data on top veteran employment opportunities in 2016 and 2017. Both reports offered good news to former military servicemembers, as the top careers for veterans offer high median salaries and projected growth rates far beyond the average growth rate (seven percent) across all occupations. These advisors help individuals and families with a wide range of financial planning. This might include college savings plans, retirement planning, and estate planning. An analyst is hired to create and support information technology related security measures to protect against cyber attacks and other threats to the infrastructure of an organization. Sometimes referred to as management analysts, this position identifies ways to improve an organization by reducing costs, increasing revenue and identifying other ways to improve efficiency to support a company’s goals. While exact duties vary by state law and licensing requirements, nurse practitioners work with other healthcare professionals to provide primary or specialty healthcare services. The related role of a registered nurse provides a vast range of services to patients. These might include direct healthcare services, patient education, and coordination of care with other healthcare professionals. The operations research analyst uses data analytics to help organizations solve problems. Many (but not all) professionals in this field have a STEM-related degree, e.g., engineering, computer science, etc. Sales managers lead other sales professionals in meeting organizational goals. This might include training personnel, developing training programs and monitoring sales growth over time. Software engineers, aka software developers, create and modify computer systems for clients or organizations to perform customized tasks. Many veterans face unique challenges when returning home and transitioning back to civilian life. Mental health counselors and psychologists play an integral role in their patients’ lives, working closely with veterans and their families, to help them with problems related to readjusting to civilian life after military. Northeastern understands that for U.S. veterans, finding a job as a civilian can be one of the greatest challenges you’ll face after service. So for veterans coming directly from the military without any prior civilian work experience–don’t worry. More than half of these top occupations do not report requiring prior work experience and the ones that do require less than five years’ experience in a related profession. From an educational perspective, however, many of these high-growth careers typically require a bachelor’s degree. Should You Get Your Bachelor’s Degree? Many military-friendly universities have support staff for veterans with program selection and tuition assistance. 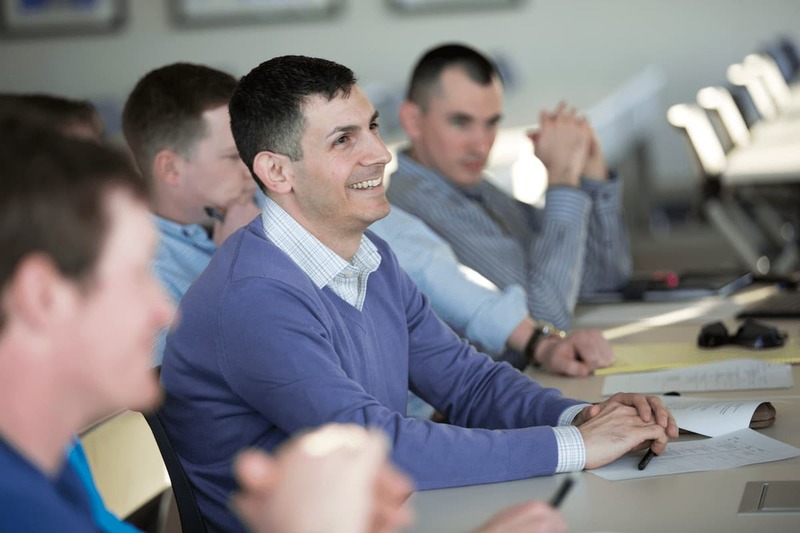 Northeastern University staff is available to help active duty servicemembers and veterans with career selection through its sponsorship with Patriots Path. Support services include career assessment, career transition workshops, and marketing and networking opportunities. Additional resources to help transition military students to civilian life are also available through the institution’s Dolce Center for the Advancement of Veterans and Servicemembers (CAVS). If you’re worried about funding your education, there are many resources for veterans. The Post-9/11 GI Bill and other VA educational benefits, as well as institution-specific military benefits, can be used to pay for educational expenses related to your bachelor’s degree completion. Student eligibility and programs vary, but financial assistance may also include a textbook stipend and housing allowance. Northeastern University’s Student Financial Services office can show you how to use your educational benefits so you can complete your degree without taking on debt. Colleges and universities provide resources that can help you begin a new career in a leading civilian occupation, too. Whether you decide to pursue a job in healthcare, financial services or technology, a bachelor’s degree may be key to your transition to employment that values your military training. Speak with a veteran’s representative at your school of choice to discuss your available options. If you’re unsure of how to select a degree program that will compliment your personality and aptitudes, start by reviewing your prior performance evaluations, commendations, and other feedback received during your military service. Recall examples of your demonstrated ability to perform specific tasks well. Don’t forget to consider classes you may have already taken to develop a particular skill, too. Did you enjoy learning more about that specific area? Based on what you’ve written, which industries or job types pique your interest? If you’re still unclear about which career path might be the best fit, review the job postings for positions in the field to identify the types of tasks and responsibilities required. Can you picture yourself in the role? Note the degree and major listed in the education requirements section of the posting to help you decide which college major can help you get there. Andy McCarty, air force veteran and director of Northeastern’s Dolce Center for the Advancement of Veterans and Servicemembers, also suggests assessing the job market for your chosen career. Consider not only what you want to do, he says, but the status of the job market for that profession in the locations you’d like to live. For instance, if you’re interested in working in agriculture, you’re not likely to live in a city in the near future. Or, if you want to work in biotechnology, you should consider that you’ll likely have to move to an area with a major biotechnology industry presence. To make it easier to navigate your options, CareerBuilder recently announced its partnership with Google to assist servicemembers in their search for civilian jobs. Instead of entering a job title into the search bar of CareerBuilder, enter your military occupational specialty code (MOSC) or military rank to locate jobs that might be a good fit. To ensure a successful transition into the civilian workforce, you must be able to express your relevant experiences and skills in civilian terms. Fortunately, assistance is available to help you not just find a job, but a fulfilling career. For more information about how Northeastern can help you take the next step in your career, contact Casey Heaslet, military admissions officer at Northeastern, for personalized enrollment advice.